The new Hydrosense systems provide both linear detection using Hydrowire and point detection using probes. Linear detection Hydrowire is a flexible cable which will continuously monitor large areas. When even a small amount of water or moisture comes into contact with Hydrowire it will trigger an alarm. 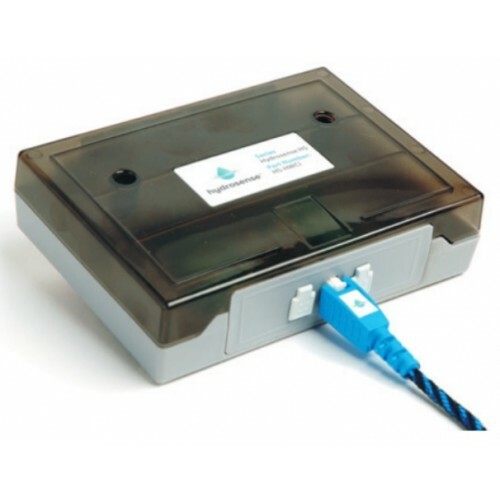 Point detection is provided by Hydrosense floor or drip tray probes, these are fixed to the floor or drip tray and adjusted to give the required detection level and connected to the control panel via a Hydrosense water leak detection module. Utilising life safety technology in the design of Hydrosense provides the reliability and integrity of BSi approved fire detection systems, meaning there is virtually no risk of failure, downtime and significantly fewer false alarms.